Immigration is the most important issue shaping Americans’ votes before November’s midterm elections, according to a poll released Thursday from Reuters/Ipsos. Across a poll of 2,252 registered voters, 14.8 percent identified immigration as the most important issue determining their vote. The economy was selected as the top issue among 13.9 percent of polled registered voters. Nearly fifteen percent of the poll’s respondents said immigration was the primary issue that would determine their votes in November. Nearly fourteen percent of the poll’s respondents said the economy was the primary issue shaping their November votes. Nearly twenty-six percent of registered Republican identified immigration as their primary issue of concern likely to determine their votes, an increase of 14 percentage points relative to a similar poll conducted in early June. Over fifteen percent of registered Democrats identified healthcare as their primary issue of concern, making it Democrats’ top issue. 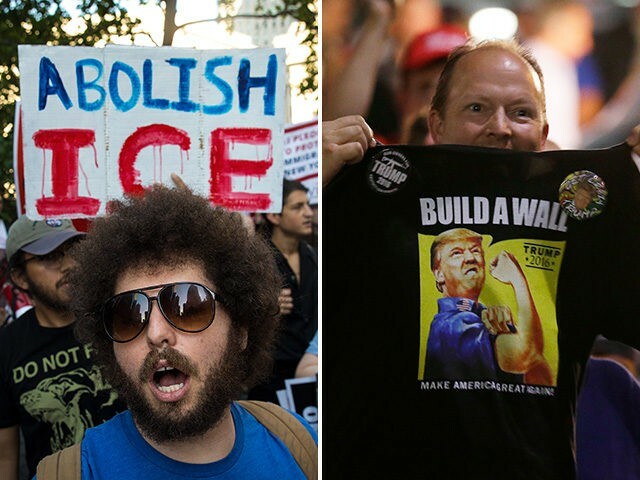 A partisan divide exists on attitudes toward President Donald Trump’s views on immigration, with 81 percent of Republicans approving the president’s approach to the issue with 84 percent of Democrats disapproving.